Employees are more demanding over their work environment. Companies are increasingly trying to find ways to improve the working environment of their employees. Keeping staff happy is always a priority as recruiting is filled with cost and uncertainty. Employers are recognising that relaxation areas, both inside and out, are simple ways of maintaining staff motivation and therefore retention. Outdoor areas have proved to be a top choice for companies. By adding a composite decking area they are able to provide an attractive area for employees and improve the overall appearance of the building’s exterior. Where a company has a number of separate buildings, composite decking is being increasingly used to construct pathways between the two. Most accidents at work are caused by trips and falls. Although they look great, there is a more practical reason for the increased use of composite decking areas. RIDDOR (Reporting of Injuries, Diseases and Dangerous Occurrences Regulations) reported that there were approximately 150,000 workplace accidents in 2017/18 due to slips and falls in the workplace. A number of these incidents led to secondary injuries such as falling into machinery, dropping items and burns. Employees who suffer from these workplace accidents are strongly encouraged to make a claim for compensation. With the number of no win no fee solicitors who will take on these cases, the claims are often successful. It is important for businesses to put measures in place to properly protect their staff. Composite decking improves workplace safety. The use of composite decking for making improvements to businesses outside area successfully improves the aesthetics. It also improves the safety of the work environment. 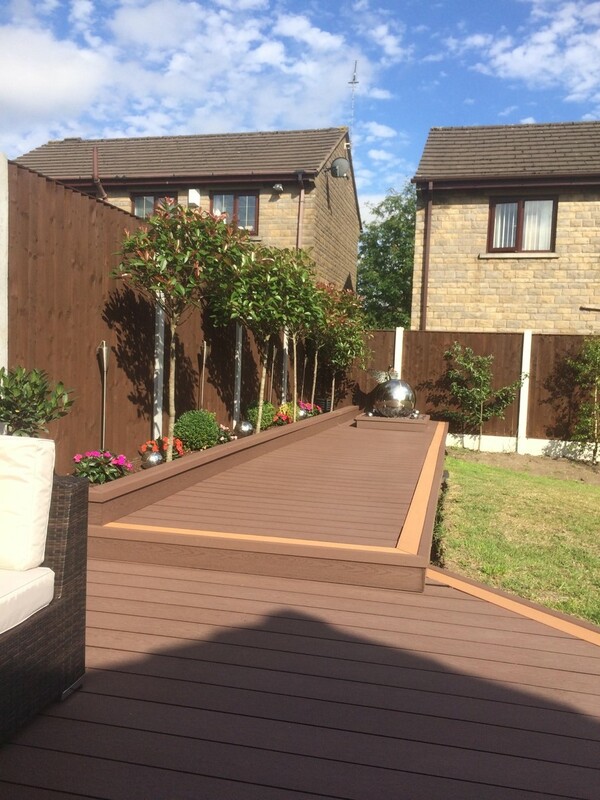 Composite decking is manufactured from a mixture of wood and plastic. This combination results in a product that is resistant to becoming slippery in wet conditions. This doesn’t’ only have to mean during bad weather. Spilt drinks, leaks and morning dew can leave moisture on a floor surface which can become a serious hazard. A hazard which will significantly contribute to the number of workplace accidents. Timber can be used as a lower cost option to composite decking. But under the same conditions wood does not exhibit the same anti-slip properties and accidents, and therefore litigations, are much more likely to occur. Composite decking stays as good as new. Maintenance of an outdoor area has to be factored when considering employee safety. With constant exposure to changing weather conditions and regular footfall, a decking area made from traditional timber is susceptible to become quickly fatigued. The cycle of being wet, followed by drying out has serious effects on most wooden structures. A timber deck will suffer from twisting, warping and splintering, all of which are additional hazards to the workplace. Composite decking boards will never show these signs of wear and damage. This significantly reduces the potential for trips and falls. A further advantage of composite decking is that no annual maintenance is required. Once the structure has been established it will pretty much look after itself for the next 20-30 years. Timber decking is very quick to fall into disrepair. Even with the best intentions of annual sanding, staining and varnishing this is rarely sufficient to prevent rot and splintering. With the regular expansion and contraction, screws and nails can become loose in timber decks. When sitting proud of the surface these can be a further trip hazard. Composite decking doesn’t have any visible nails or screws so you can achieve a completely seamless finish. Businesses are being measured on their environmental impact. Businesses are becoming increasingly concerned about the impact they have on the environment. Environmental management systems (EMS) such as ISO14001 are a standard part of a company’s quality system. Their EMS can include policies for not printing emails, increasing the use of recycled paper and even using electric cars for salespeople to reduce emissions. Using composite decking will also satisfy the environmental requirements of businesses. Composite decking boards are manufactured, almost entirely, from recycled material. Approximately 55% is wood from recycled products, sawdust and wood pulp which have no contribution to deforestation. A further 50% is recycled plastic which prevents a considerable quantity going into landfill. Composite decking still looks like real wood. Despite the strength, longevity and use of recycled materials, composite decking still maintains an authentic looking wood finish with a wood grain texture. There is also the added flexibility of being able to choose from a wide range of styles, shapes and colours. A decked area can be made from composite boards in the colours of the company logo to give a unique corporate branding to an outside space. This can have a particularly strong impact when showing visitors around your business premises.